For almost a decade, according to the nation’s public accounting agencies, a tight-knit group of largely expatriates illegally milked two mega-projects that were meant to deliver benefits and services to the people of Central Province. Over K20 million in public money is reported to have been spent with derisory results. In two special inquiry reports produced by the Auditor General’s Office and Public Accounts Committee – available together for the first time – it is claimed that a prominent Australian banker, and a former PNG senior public servant, aided by at least one Minister, delivered illicit windfalls to themselves, and Australian, Malaysian, and Filipino business people. This illicit activity is said to have occurred through the long-running “Central City”, a proposed purpose-built township for Central Province, and the Konebada Petroleum Park, an industrial zone designed to harness spin-off benefits emerging from the country’s failed gas and oil boom. The alleged ringleaders are Australian national, Peter Franklyn Nicholls, and PNG national, Kila Ai. According to the special investigation reports, both men are deeply implicated in a series of illegal transactions that saw tens of million in public moneys largely squandered. Reflecting on the Konebada Petroleum Park, the Public Accounts Committee summarised the situation: ‘Public money was handed to private individuals who expended that money as they thought fit – with no control or accountability imposed by Government’. It was added: ‘The same modus operandi was used by the same individuals and companies in the Central City Development and was, in our opinion, a blatant attempt to remove the use of considerable amounts of public trust money from Government control, audit oversight or accountability’. Indeed, remarkably, the illegal conduct observed by government accounting agencies with respect to Central City in the period 1998-2005, are nearly identical to those observed with Konebada Petroleum Park in 2006-2008. Yet, it appears, little was done to stop the offending conduct. In this PNGi investigates we break open these two mega-projects, that have delivered little to the PNG public, and look at the largely foreign groups who are reported to have benefited from lavish payments illegally awarded through these projects. The scolding inquiry reports produced on these two white-elephant mega-projects point the finger at a number of individuals. The first is Australian banker Peter Nicholls OBE, who has worked for Commonwealth Bank and Papua New Guinea Banking Corporation (PNGBC). Nicholls entered the Central City mega-project scene with a questionable pedigree that harks back to scandals from the 1980s. In 1986 it was reported that the Pangu business arm, Damai Pty. Ltd., had obtained a loan of K700,000 in two instalments from the Papua New Guinea Banking Corporation … the PNGBC loans were made on the security of a block of flats owned by Damai, but the beneficial owners of Damai were not revealed. There was criticism of this large loan made on nebulous security by the PNGBC’s freewheeling expatriate manager, Peter Nicholls, who has since resigned; but a Law Reform Commission enquiry into the loan was aborted under political pressure. Nicholls also enjoyed a close relationship with a company that featured in the Commission of Inquiry into the forestry sector, led by Judge Tos Barnett. In particular, Nicholls was Company Secretary and Director of Tamworth No.35, a firm that the inquiry states was used by then prominent politician, Ted Diro, to secretly hold interests in a logging joint venture, with Malaysian business partners (for the full story, click here). The firm also rented out a unit to the same Malaysian partners, a transaction identified by the Commission as yielding Diro improper benefits. Nicholls specific role in administering this corporate vehicle used by Diro to manage his improper relationship with Malaysian loggers was not documented in the inquiry. Arguably, Nicholl’s closest subsequent commercial associate over the past twenty five years is Filipino national, Ofelia Raymundo Carlos. She acts as Secretary in most of Nicholl’s companies. Carlos was also Secretary of Konebada Petroleum Park Authority Limited, a private vehicle set up to initially manage the industrial park mega-project. 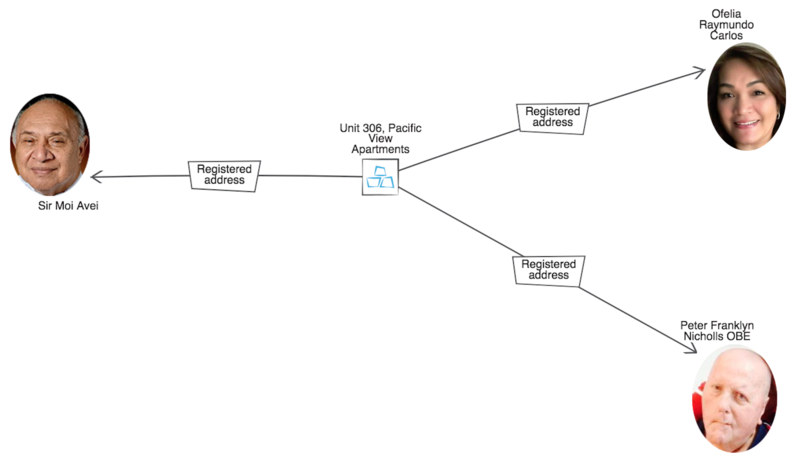 Carlos and Nicholls list their registered address in IPA documents as Unit 306, Pacific View Apartments. This is a property once owned by Ted Diro through Tamworth No.35, and let out by the former Minister to his Malaysian joint-venture partners. Another individual to list Unit 306 as their residence at the same time as Carlos and Nicholls, is Sir Moi Avei. Sir Moi is said to have also played a key role in Central City and Konebada Petroleum Park Authority, when Minister for Petroleum and Energy. The other key individual, alongside Nicholls, alleged to be at the centre of the Central City and Konebada scandals, is former PNG civil servant Kila Ai. Before being involved in these two projects at the centre of the special inquiry reports, Kila Ai, had been Deputy Secretary (Policy and Planning), in the Department of Finance, and then Secretary, Department of Planning in 1997. In both instances it appears Mr Ai worked under the Minister Chris Havieta, who in 2001 became Minister for Petroleum and Energy. According to the Public Accounts Committee and Auditor General’s Office over the course of these two failed mega-project, Peter Nicholls earnt at least K3,360,463.51, through payments made to his consultancy company, Financial Investment and Resource Management Services Limited (FIRMS), in addition to K123,846.50 in rental payments for a unit owned by FIRMS. Kila Ai, is alleged to have earnt at least K2,390,356, through his consultancy firm, Nikita Consulting, which he co-owns with Inez Ai. The consultancy contracts behind these significant payments were found in both inquiries to have been illegally awarded to the respective firms, and rather crucially, both men sat on the bodies governing the projects, creating what was deemed a clear conflict of interest. Funding for both mega-projects – which allowed these evidently improperly awarded consultancy contracts to be paid – was funnelled through a series of government Trust Accounts, which were largely unaccountable and off-the-grid with respect to accepted record keeping practice. ‘A review of those grants received by the Central City Project’, the Auditor General notes, ‘revealed that the funding was provided on an adhoc basis with no conditions attached or required to release the funds’. A total of K12,552,400 went through the Central City trust accounts. With respect to the Konebada mega-project K8.8 million went through the Trust Account. The Public Accounts Committee observes: ‘This Committee has no doubt that the operations of this Trust Account were intentionally and deliberately hidden from the Auditor General and from Government scrutiny’. Central Province Township Infrastructure Development Trust Account. In the case of Central City project governance was provided by a Steering Committee, which Kila Ai and Peter Nicholls both sat on alongside Australian national, Hans Euscher. It also appears for a period that the Chair of the Central City Steering Committee, was Sir Moi Avei, whose connection to Peter Nicholls has already been noted. The Konebada Petroleum Park Authority governance was overseen by a Working Group. While the members of the Working Group is not fully set out in the Public Accounts Committee inquiry, the report suggests it included Kila Ai and potentially Peter Nicholls: ‘The Konebada Petroleum Park Working Group and the management of its Trust Account was handed to private, unaccountable individuals who were also the persons involved in the Central City Development’ (later in the report it is stated: ‘We also find that the persons actually “managing” the Trust Account i.e. Mr Kila Ai and the individuals comprising the Working Group’). It is also apparent that Sir Moi Avei again played a key role in project governance. Day to day operations of both projects were the responsibility of a Project Management Team. The rump of the Project Management Team in both cases was Peter Nicholls and Kila Ai, who also acted as private consultants for the two mega-projects. It is unclear if they were paid salaries in addition to consultancy fees. The “Project Management Team” as appointed by the Steering Committee comprised Messrs Kila Ai, Peter Nicholas [sic] and Hans Euscher. These persons were also members of the Steering Committee before been appointed to the management team. They were also formally engaged as consultants through their respective firms and have been continuously providing services to the project. These consultants have been made signatories of both trust accounts. However, there was no evidence of such authority been formally approved by the Steering Committee. It must be appreciated that “conflict of interest” undoubtedly existed from the out set and prevailed throughout the life of the project. Put simply, the Auditor General claims Kila Ai, Peter Nicholls and Hans Euscher, were signatories to a government Trust Account, making payments to their firms, providing consultancy services to a public project over which they governed. The Auditor General finds that the position of Project Manager was not publicly advertised and this Committee has confirmed that advice. The Project Manager, Mr. Kila Ai, was appointed directly by the NEC without any competitive applications and solely upon the recommendation of Sir Moi Avei the then Minister for Petroleum and Energy. The Minister also advised the NEC that: “To publicly advertise the position will cause an undue delay and may diminish professional services offered by the successful applicant”. As noted above, in both cases Kila Ai and Peter Nicholls were paid substantial amounts from the Trust Accounts for private consultancy services. The inquiries found that public tender requirements were not met in either case. For instance, in the case of the Konebada Petroleum Park Authority, the Public Accounts Committee states: ‘No tendering procedures were conducted. “Consultants” seem to have been chosen by the individuals concerned with the management of the Project with no lawful competitive selective procurement conducted’. The consultancy contracts reported as being illegally awarded to Nicholl’s FIRMs and Ai’s Nikita facilitated large payments. In the case of Central City, the Auditor General observes: ‘Documents supporting the invoices comprising signed clock cards and/or timesheets showing actual hours worked and the natures of jobs performed by both consultants and contractors were missing from the files’. More worryingly in the case of Konebada: ‘Payment vouchers related to expenditures from the Konebada Petroleum Park Authority Working Group Trust Account were not made available for examination. These were apparently held by the Project Manager at his Office at an apartment occupied by him. No supporting documentation or evidence to substantiate the payments was held by the Department of Petroleum and Energy or, apparently, by the Project Manager or its Accountant’. In other words, vital public accounting documents relating to significant consultancy payments, have been withheld by the Konebada Project Manager, who has a 50% stake in one of the firms, Nikita Consulting. Finally, payments made in the Central City Project to Hans Euscher should not be overlooked. A former expatriate civil servant who worked in senior positions within the Department of Finance, and Department of Works, at the same approximate time as Kila Ai, he sat on the Steering Committee and Project Management Team for Central City. A company he jointly owned with Australian national, Trevor Kerr, received K525,056 in payments for consultancy services provided to the Central City project. The Auditor General’s Office observes: ‘We are unable to vouch most of the payments made to this firm because the relevant vouchers together with other supporting document showing detail of work done and the time spent on each job were missing. All payments made in 2001 totaling K166,750 were not supported with any payment vouchers including invoices’. With evidence of significant conflicts of interest, no transparency or oversight, and Trust Accounts bursting at the seams with public moneys, it will not surprise readers that the special inquiries found both mega-projects featured lavish spending on travel, hospitality, gifts, cars and other items of dubious project value. For example, it is claimed by the Public Accounts Committee funds reserved for the Konebada Park Authority was spent renovating a property owned by Avonmore Limited. IPA records confirm, this company is owned by Peter Nicholls and his wife, Filipino national, Arlene Ostonal Medina Nicholls. The company’s secretary is Filipino national, Ofelia Raymundo Carlos. Both projects also featured questionable spending on motor vehicles. For example, ‘In 2005, a new vehicle was purchased [for the Central City project] at a cost of K89,059 as replacement for a project vehicle that was reported stolen by criminals. Incident reports as well as police reports on this incident were not made available’. In the case of Konebada, PAC observes: ‘In 2006 one motor vehicle was purchased and in 2007, three were purchased. All four vehicles were registered with private number plates instead of Z [government] number plates and the Auditor General could not confirm the ownership, condition and location of the vehicles’. This is symptomatic of a wider problem with the Konebada Petroleum project where ‘public money was spent on bilums, gold jewellery (K4,500), considerable overseas travel made without records or reports required by the Financial Instructions’. For example: ‘The available records show that on the 5th March 2008, a total of K 164,320 was expended for “TA for travel to Australia for meeting”. Of that amount of K 100,562.21 was apparently used for “USD notes” and the balance was sent by TT to Australia for unknown purposes..’. Similar concerns were raised by the Auditor General with respect to Central City: ‘Two (2) payments totaling K8,661 were made to Air Niugini for a business trip taken by Mr Kila Ai to Singapore. The cash payment vouchers and invoices were missing from the file … the purpose and outcome of trip is not known’. In the case of Central City, we also know large contracts were awarded to outside firms. They allegedly involved illegal payments. The first company, Bee Construction, was awarded K417,989 to build a police headquarters, two Hiri District Offices, and two H65 houses during 1999. In total they were paid K499,147, the Auditor General querying whether this constitutes overpayment of K81,158. Bee Construction is owned and administered by a range of Malaysian, Filipino and Singaporean individuals. A second major beneficiary of contracts awarded for Central City, was the company Hebou Construction. In total Hebou was paid K4,418,876, for road construction and maintenance. Hebou was then ultimately owned by the Australian couple, Sir George and Maria Constantinou. The Auditor General observes: ‘All payments made in 2000 and 2001 were not supported with any voucher, invoices and relevant supporting documents. These documents seem to have been selectively removed and/or gone missing from the files’. The Auditor also pointed to an ‘excess payment of K989,185 [which] is neither supported by any variation report approved by the Board and/or has any supporting documents’. To cap it all off, both mega-projects were criticised for significant volumes in unaccounted salaries and wages. In the instance of Konebada ‘cash payments of K 545,124.03 were made – 88.13% of those payments were for casual workers. How they were employed and for what purpose is unknown’. With respect to Central City, ‘police personnel were engaged for the provision of security services at the Project site from 1999 to 2003 at a total cost of K238,422 … This amount was split between food ration and allowance amounting to K45,000 and K193,422 respectively … there were no supporting documents comprising invoices and receipts for fortnightly payment’. The latter points to potential police complicity in the mismanagement of funds. This may explain why there is no public record of officers ever following up on the scathing findings of the Auditor General. In Central City anomalies were found with the appointment of a Project Engineer, Mr Raul Santa Cruz. The Auditor General notes: ‘He was previously employed by the Central Provincial Government. There was no formal contract in place for the Project Engineer nor was there any evidence of this position been advertised in the local media. Total contract amount for the position was K190,000 per annum with no tax being deducted and remitted to IRC’. This echoes a wider problem ‘of non compliance with regards to certain aspects of: Income Tax Act, Public Finance Management Act, Personnel Management Act and Companies Act 1997’. Set against a backdrop of largesse and dubious transactions, both mega-projects, the inquiries report, are stained by a lack of proper record keeping, inadequate budgets, no oversight from the Finance Department, and inappropriate auditing. In the case of Central City, it is noted that: ‘Proper accounting books and records were not maintained for both trust accounts. All accounting records were maintained on Excel Spreadsheets’. Similarly, with Konebada: ‘The Project Manager [Kila Ai] failed to submit bank reconciliation statements, quarterly and annual reports pertinent to the operation of the Working Group Trust Account – in breach of the law’. It is added: ‘Significant amounts of public money passed into and through the Trust Account with not a single statutory record, account or report being made’. The seriousness of this matter is underlined: ‘Konebada Petroleum Park Authority Working Group Trust Account was operated outside the Department’s PGAS accounting system. This is a breach of Clause 4 (b), (c) and 5 of the Konebada Petroleum Park Authority Working Group Trust Account Trust Instrument which required the Trust Account to be under the strict control of the Department and operated within the PGAS accounting system’. The financial statements audits of both the Central City Development Project Management Trust account and Central City Infrastructure Development Trust accounts for the years 1998 to 2005 were done by Kolta and Associates. Kolta and Associates were never appointed by this Office to carry out the audits of these two accounts. Any audit of public monies conducted directly without the approval and supervision of this Office is against the Constitution and the Audit Act. In almost identical terms the Public Accounts Committee observes with respect to Konebada: ‘The Trust Fund financial statements were audited by a private accounting firm contrary to the Constitution and the Audit Act’. It is worth noting that Kolta & Associates is a business name registered to Patrick Ketapala Kolta. Kolta was a Director at Nationwide Homes from 30/9/1986 until 6/8/1990 when he was replaced by Peter Nicholls. Therefore, there is the possibility that both men are commercially affiliated, which if accurate would heighten concerns expressed by the nation’s public accounting agencies. Lacking adequate auditing oversight, both projects were also marred by Department of Finance failings. ‘There was virtually no periodic monitoring’ of Central City ‘done over the project from the Department of Finance’, the Auditor General warns. In the case of Konebada Park: ‘The mismanagement of this Trust Account and the breaches of the Trust Instrument by the Working Group were well-known to the Department of Finance as was the failure to provide statutory documents when they should have been submitted. Yet the Department did nothing’. 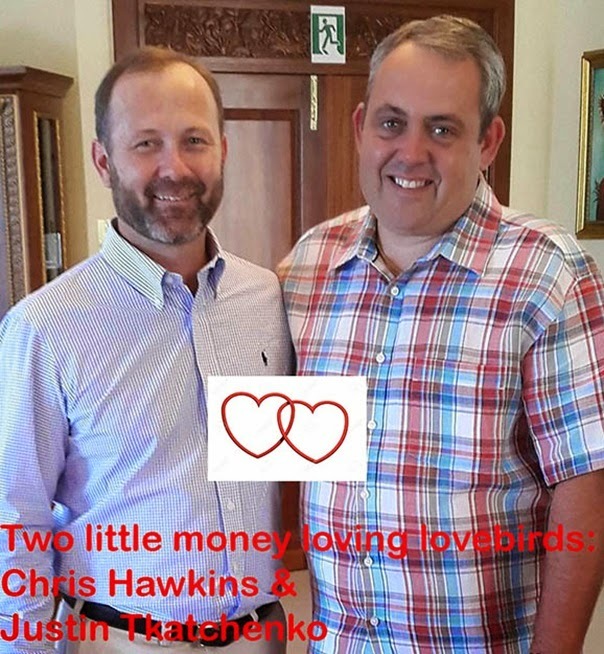 After over K20 million of public moneys was spent on getting two mega-projects off the ground, under the ‘expert’ watch of an Australian banker and a former senior civil servant, what was the result? ‘Funds have been misused resulting in poor infrastructure’, the Auditor General notes of Central City. ‘The buildings and site do not reflect the level of funding put through the proposed township’. The Public Accounts Committee paints a similar image of the Konebada Petroleum Authority: ‘The Project has received and expended a very considerable amount of public money for very little result’. Both Kila Ai, Peter Nicholls and his wife, remain active in the corporate economy, according to IPA records. A 2016 document suggests Kila Ai was in fact assuming senior posts – Director, Department of Treasury – well after these reports came to light. There is no evidence on the public record that any authority ever in fact followed up on the serious statement of facts presented by the Auditor General and Public Accounts Committee. There is no evidence on the public record either that the Australian government has taken any steps to condemn the stated role of its citizens in these two mega-projects, despite its often loud stance as a good governance advocate. What is particularly egregious about these failings in this case, is just how explicit the statement of facts are in the two inquiry reports, which as a result do not mince words in condemning the ringleaders. However, such condemnation is nothing but a verbal slap on the hand, when domestic and international authorities do nothing but watch on in silence. Prosecutions aside, even a modest attempt to seize any assets that can be proven in the courts to have been wrongfully acquired might make life a little more difficult for those who improperly profit from the public purse. But with derisory budgets allocated to the nation’s anti-corruption apparatus, the public should not hold its breath on this front. Of course, that should not stop us from speaking out for what is right, even if the odds of action are slim.